David Marshall was born on, March 12, 1908, into an Orthodox Jewish family of Iraqi ancestry in Singapore He was the eldest son of seven children of Saul Nassim Mashal, father of Marshall and his mother’s name was Flora Ezekiel Mashal. Marshall had a strict Jewish orthodox background observing all Jewish ceremonies and rituals since his childhood. As a child, he went to the Kindergarten of the Convent of the Holy Infant Jesus. Then as he grew older, he went to St. Joseph's Institution. Then in 1919, he went to St Andrew’s school. 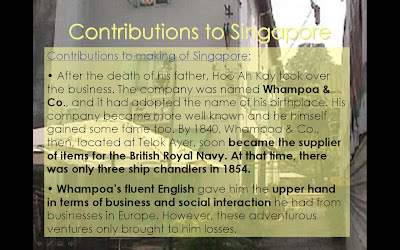 Later, he studied in an impressive school which was the Raffles Institution in 1922. His group friends included Singapore's second President, Sir Benjamin Sheares and Sir George Oehlers. Marshall was always known to have poor health since young and had suffered from malaria and then later, tuberculosis. His dream of obtaining a Queens' scholarship to pursue a medical degree was let down when he collapsed on the eve of his examination. Instead, he went to Belgium to study textile manufacturing. After he returned, he joined a Straits company as a textile representative and later worked as salesman and a language teacher before deciding to pursue a law career in London when he was in his late twenties. A few years later, after graduating from the University of London and the Middle Temple in Britain, he was called to the Bar in 1937. With the impending Japanese invasion of Asia, Marshall's family members had left Singapore but Marshall refused to leave as he joined the Singapore Volunteer Corps (SVC) "B" company. During the war, he was stationed at the southern area under the command of Major-General Keith Simmons. He was captured in February 1942, jailed in Changi Prison and later sent to a forced labour camp to Hokkaido, Japan. He was moved to 26 different prisoner of war camps where he gained popularity as a chief spokesperson for his fellow prisoners. After the Japanese surrendered, he chose to go to Australia. 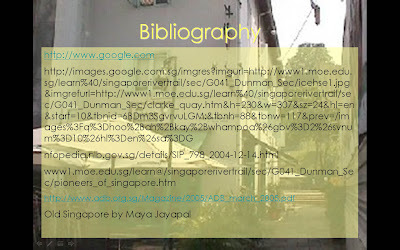 In 1946, he returned to Singapore and rejoined the law firm of Allen and Gledhill. Soon after, the Department of Education issued a circular banning David Marshall from ever speaking in the colony's schools. The late Mr Marshall was a flamboyant, irascible man who leapt onto the Singapore political stage at a simpler time when charisma, pure human energy, passion and perhaps romantic idealism mattered more than organisation in the political scheme of things. His entry into politics took a circuitous route, for until he became Singapore's first Chief Minister for 15 heady months in 1955-6, he did not think that -- as a minority of minorities ("I am both a Jew and an Asian") -- he could steer the fledgling nation. But once in the political forefront, his driving ambition was to deliver Singapore freedom from the British. When he failed to convince the colonialists to relinquish control to him, he kept his promise to the people and resigned in protest, leaving the seats of power to be filled by more modest men. By then, he had fired the imagination of a whole generation of post-war nationalists. In his inimitable, innocent and enthusiastic way, he was a populist politician who, more than anyone else in the early 1950s, aroused the interest of the common man in elections. He could mesmerise a crowd with his magnificent oratory -- the commanding, authoritative tone, the measured cadences, the well-chosen words -- or send them into paroxysms of laughter. His tenure as Chief Minister was, by present standards, not a phenomenal success. He was strong on ideas but poor on details, leading what some hacks of the day called a "walking administration"; policies were formed as he walked along the corridors of power from one department to another. But even though he failed to follow through on the numerous good ideas he spawned, many were subsequently embellished and translated into policies by the People's Action Party that took over the reins of government in 1959, such as the creed of multi-lingualism and multi-racialism, an education policy for nation-building, meet-the-people sessions and the Central Provident Fund. As his political biographer ,Chan Heng Chee, put it, Mr Marshall had gone into Singapore politics "like a shooting star, and as in the nature of a shooting star, filled the sky with brilliance and disappeared". 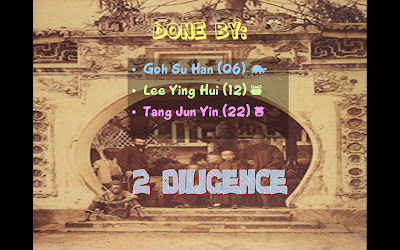 He did not disappear immediately from Singapore politics and stayed on the backbench for a while, quitting the ruling Labour Front party in 1957 and starting the Workers' Party the same year. David Marshall slipped the wedding ring onbride Jean Mary Gray's finger in 1961. In his political uniform of white bush-jacket and grey trousers, with a hammer, he was the Workers' Party symbol. 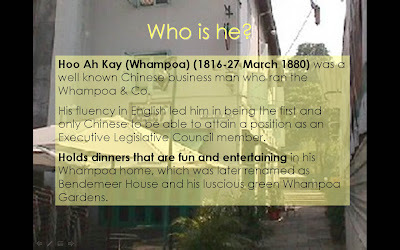 He became a vocal critic of the PAP government and remained a factor in opposition politics until 1972. That year, he was found guilty of unprofessional conduct as defence lawyer for executives of the Chinese-language newspaper, Nanyang Siang Pau, who had been detained under the Internal Security Act. Suspended from the Bar for six months, he decided thereafter to stay out of politics because, as Dr Chan explains in her book, "he felt the condition of his return to his profession was implicitly a non-political role in the Republic's politics henceforth". And after a highly successful career as a criminal lawyer -- such was his reputation that the enduring myth was: "Marshall never loses" -- he switched to commercial law. Perhaps David Marshall had entered the political scene at a propitious time, when the British colonial authorities were prepared to relinquish some power to the local people, but not yet to an Asian Asian. For despite his trademark bush jacket, he was quintessentially European in social habits. Despite his public appeal to the masses, he had little close contact with the grassroots. According to an account of a meeting that took place in 1954 between members of his Labour Front and the nucleus of the future PAP -- including Mr Lee Kuan Yew, Dr Goh Keng Swee and Mr S Rajaratnam -- to discuss a possible merger, the guests were offered champagne and tiny shrimps on cheese crackers, which had a "dampening effect on the proceedings for it became difficult to discuss unifying the anti-colonial classes while enjoying bourgeois tidbits". Certainly Mr Marshall did not take to the PAP founder members. After the first meeting, he wrote in his diary: "Bitter taste". On their part, the PAP activists found the Marshall group politically naive and decided not to work with it. His political ideology defied easy labels for unlike Mr Lee's, his was not refined in continuous political debate with a group of peers. Yet, the story of David Marshall is one of several epochs. He was born into an Orthodox Jewish family of Iraqi ancestry in turn-of-the-century Singapore. The eldest son of six children, he became profoundly influenced by Judaism's stress on social justice and quickly acquired the qualities that were to be his abiding hallmarks: humanitarianism, compassion and generosity. 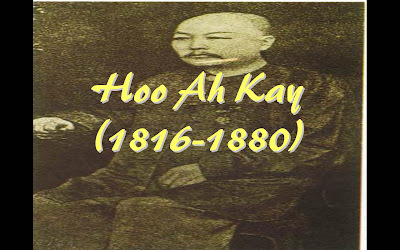 As a schoolboy, he witnessed the oppression of the local people by the white colonial overseers and fought those who taunted him or his friends with racial epithets. He was later to say that the rage it bred in him drew him towards the independence movement and politics. He was first and foremost a nationalist. When the call came to serve the nation in a different capacity, the former Ambassador to France, Spain, Portugal and Switzerland kept the flag flying high. Despite his differences with the PAP government, he always defended Singapore's interests abroad and played the role of ambassador with great aplomb for 15 years, even when his eyesight failed. He wore an orchid at every official function, and became widely-known as the "Ambassadeur a orchidee" (the Ambassador with an orchid). Such was his zest for life that when he retired to Singapore in 1993, his restlessness was almost palpable. He railed at the press for its servile attitude towards the ruling government, and yet in private moments, gave credit where it was due. A legend in his own lifetime, he enjoyed the respect even of those he lashed at in his more flamboyant moods. Above all, he was a great friend to all who knew and loved him.